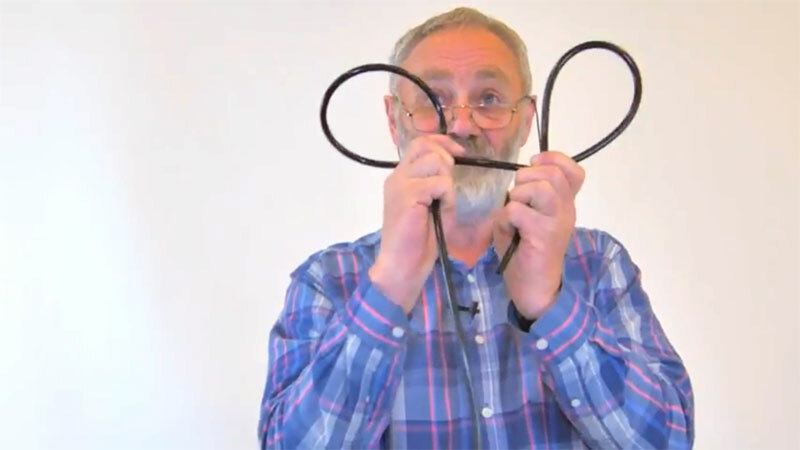 This is one of the most difficult and fiddly parts of changing a harp string – so annoying in fact that we’ve made a whole page and video dedicated to making sure you can understand how it works. 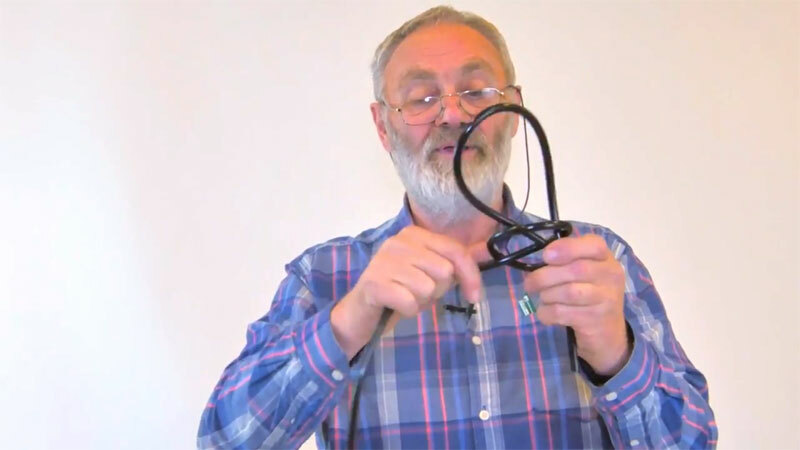 Watch the video on the right to see Allan taking you through the process of tying a bowline knot on a large scale so you can see exactly what’s happening. Alternatively you can use the screen grabs and text below to get the crucial steps. 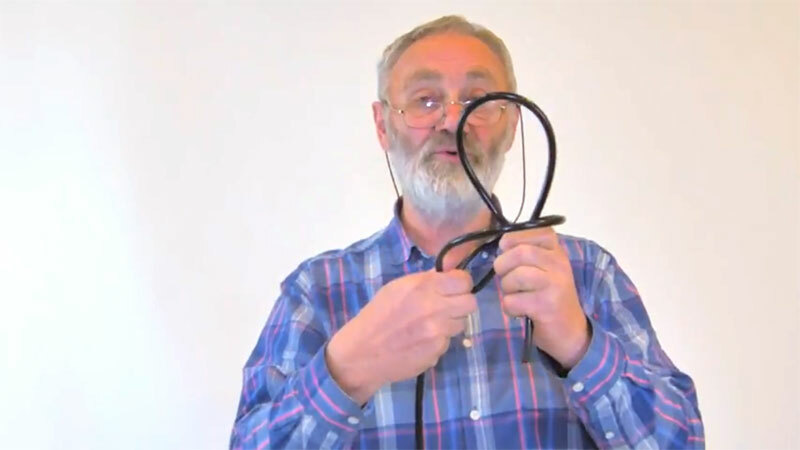 Remember, once you have made your knot you will need an anchor to insert into the knot to stop it slipping and getting jammed in the back of the soundboard. You can make these from a small piece of older harp string and about 1/2″ is usually long enough. 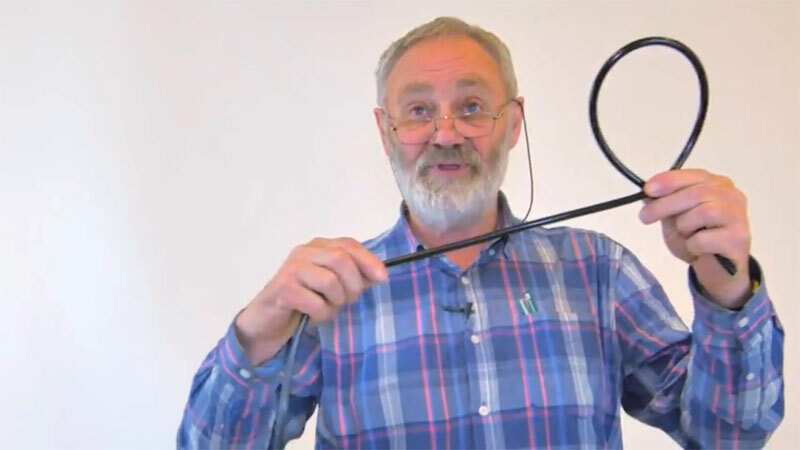 Gripping the first loop in your left hand, tighten the second loop with your right hand pushing it further up the string until you are left with a knot which should stay by itself – this is a bowline! If you are unclear about where the tie goes in and out of the knot watch the end of the video as it might be easier to follow. If you want to find out how to complete the process of changing a string and wind it around the tuning, go back to our handy guide. 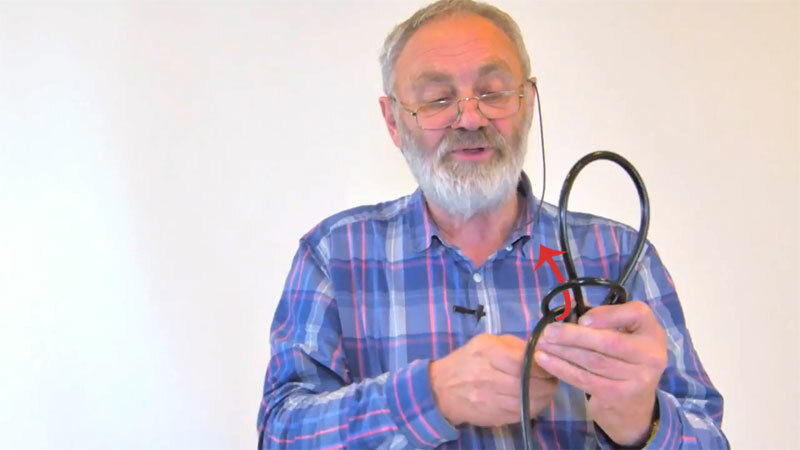 If you need help identifying which string to change you can find out more here.